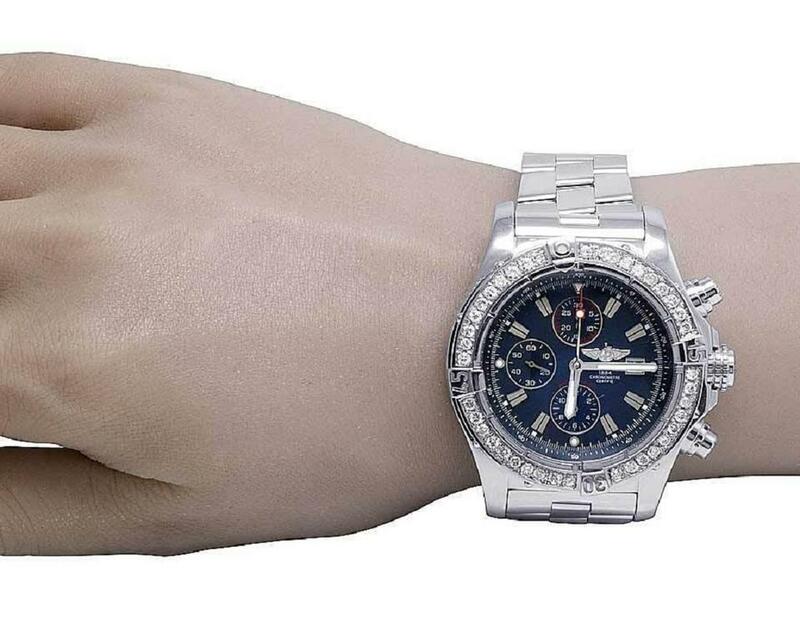 New Breitling Super Avenger model. Reference # A13370. 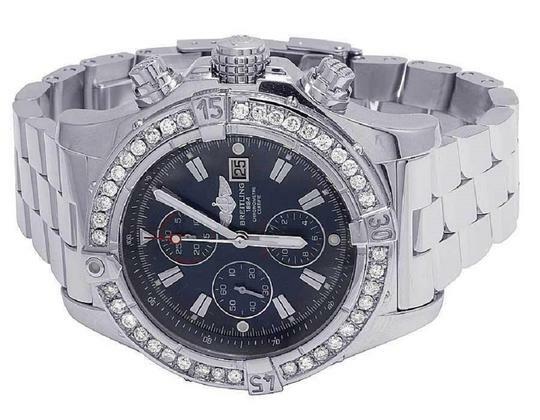 Watch is brand new condition, no scratches or dings on the case and band. 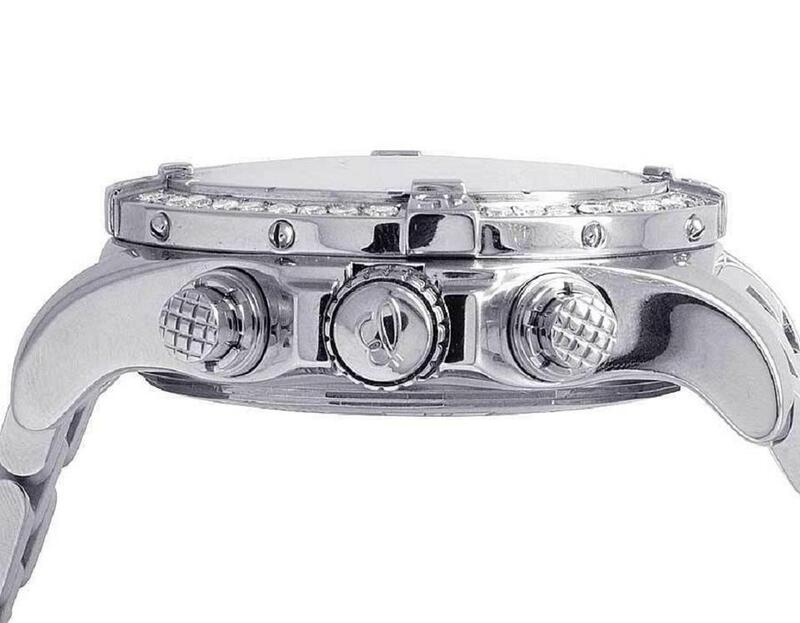 Large 48mm case with a 18.8 mm thickness. 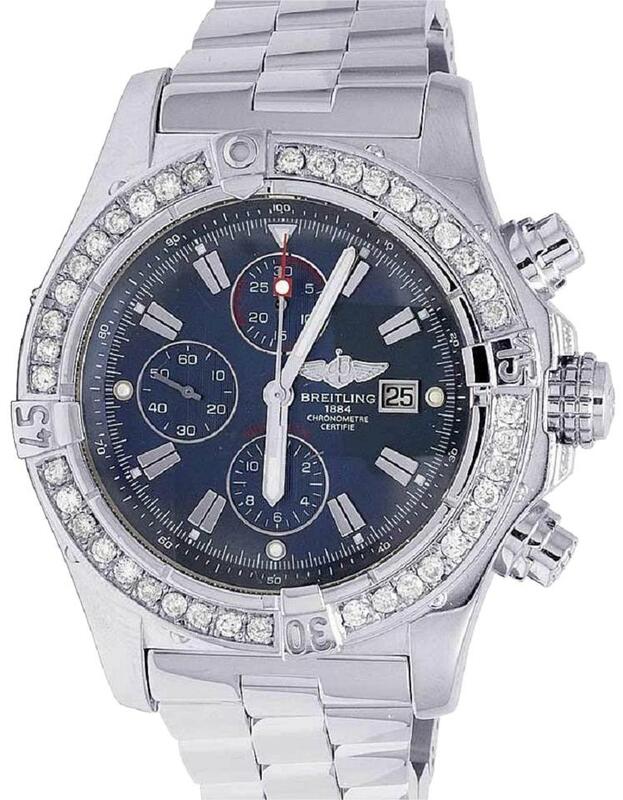 Screw down crown with Sapphire Crystal. 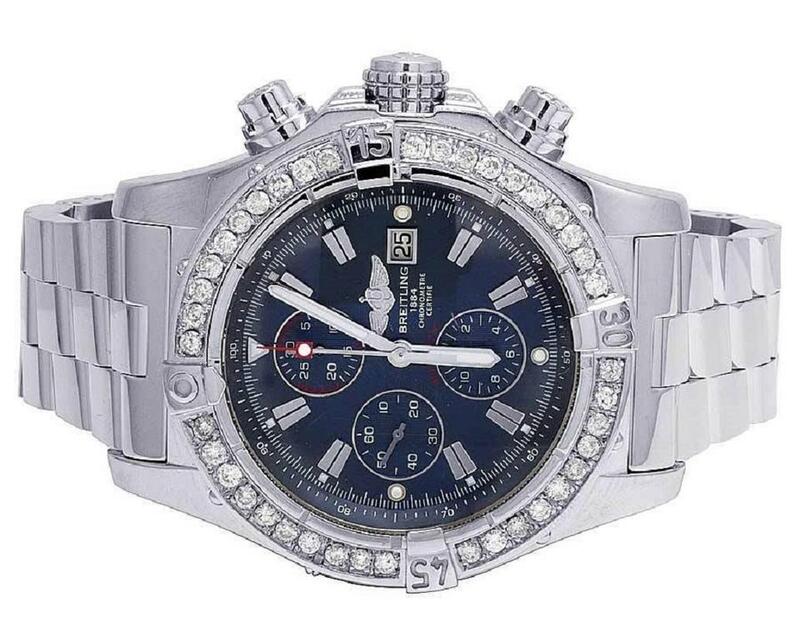 Consists of classic Blue Dial. 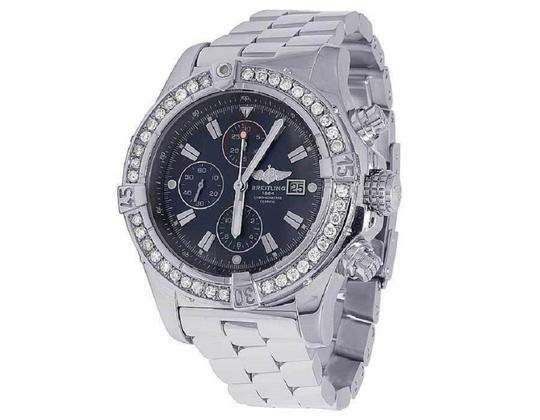 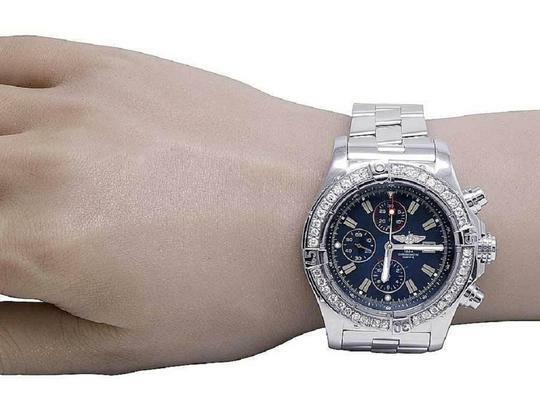 The watch consists of a total of 4.5 ct of all Clear diamonds set on the Breitling Stainless Steel Bezel. All diamonds are hand selected to match in color and clarity. Gorgeous black factory dial. 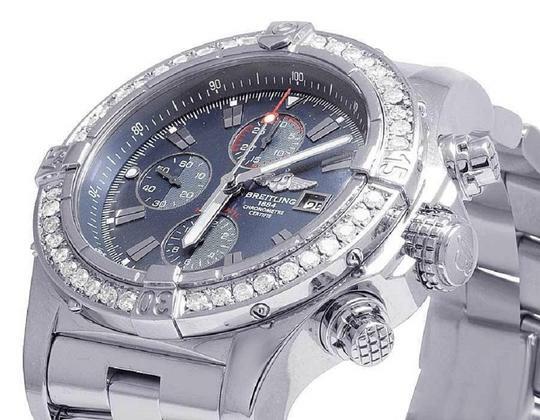 All diamonds are SI1-SI3 in clarity and H-I in color. All diamonds used are 100% natural diamond, not enhanced in any way. Watch is Brand New and comes with original box and papers. Other DetailsComes with Original Box & 3rd Party Lab Cert.